When I heard my blogging friend Sarah, from The Magical Slow Cooker, was writing a cookbook I was thrilled for her and excited to purchase it when it was on the market. I absolutely love her blog and her recipes and I am amazed at how she does it all, full-time job, family, and blogging. It’s no wonder she relies on her slow cooker for meals. I have made several of her recipes from the blog and even featured this one on my Sunday Spotlight and no dish has yet to fail getting rave reviews from the family. You can’t imagine how thrilled I was when she asked if I would review her cookbook, do a blog post on it, and as a thank you I would get a copy for FREE. Heck, I would have paid her for the book! Not even going to lie about this one, when I go to Barnes and Noble most times I can be found at the cookbook section of the store flipping through the many pages of the books – for hours. Usually one or two recipes will peek my interest enough to purchase the book or to take a picture of the cover to check out online or for future purchases. 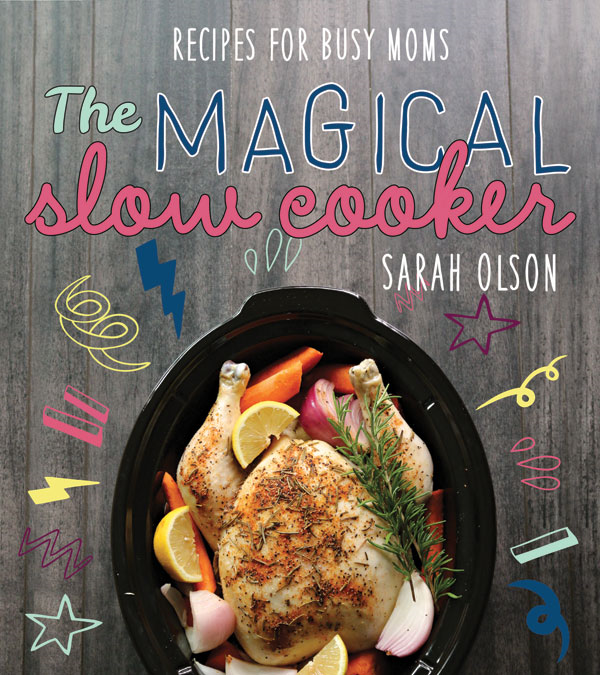 When I received Sarah’s book, The Magical Slow Cooker: Recipes for Busy Moms, I read it from cover to cover and had to wipe up a bit of drool from the amazing pictures of the recipes. My menu would be planned for weeks with her book. From Breakfast to Desserts, her cookbook has it all – 215 pages of deliciousness. Each recipe has step-by-step directions and a picture for each recipe (which not all cookbooks can claim). I love being able to see the end result so that I know if my version is close. Seriously, people, you need this book in your kitchen and your life. Your family will thank you! My real dilemma was which recipe to make to include in this review. 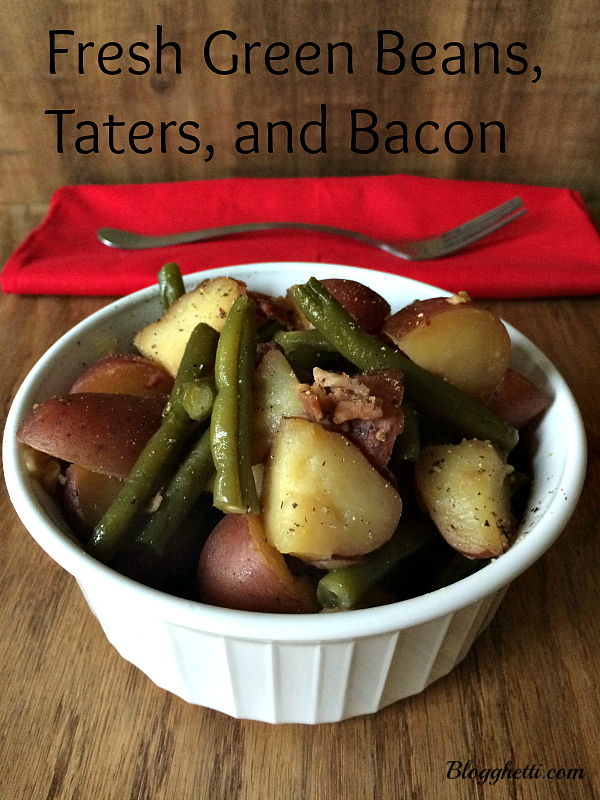 I went back and forth between several and finally settled on her Fresh Green Beans, Taters, and Bacon. I was already planning to make my Mexican Crock Pot Roast so this would be a great side dish for that. So I pulled out my second crock pot (What? You don’t have two? You’ll be getting another after reading this book!) and got this easy recipe in there to slow cook. I only had to make two changes to the recipe and that was only because my schedule didn’t allow for a stop to the store before getting this in the slow cooker. The side dish turned out wonderfully and absolutely did cook in 3 hours on high to perfection. The green beans still had a bit of crispness to them,which is the way we like them. Mushy green beans are just not appealing at all. I will tell you, most of the time when you are preparing the potatoes for the crockpot, you will tend to cut them on the large side. do not do it for this recipe. The recipe calls for diced, and that is exactly what you do – dice the potatoes. Perfect! 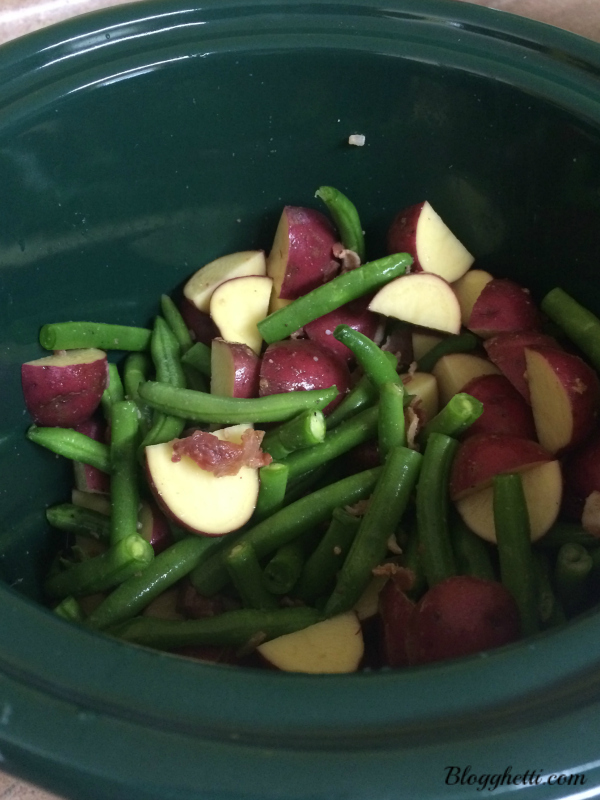 Add everything to a 6-quart slow cooker and stir. Cover and cook on HIGH for 3 hours without opening the lid during cooking time. If you want to see the original recipe, simply go here and Buy the Book. I am telling you, you won’t be sorry that you did. Hi Lisa! The recipe you made looks great! Thank you so much for the wonderful review of my book! It was my pleasure to review it Sarah!!! Oh, this looks great, and before you know it we’ll be able to make it with fresh green beans from the garden.